Sitting as what is known as the Dashur Necropolis, the Red Pyramid is so named because of its red, rusty hue from red limestone. 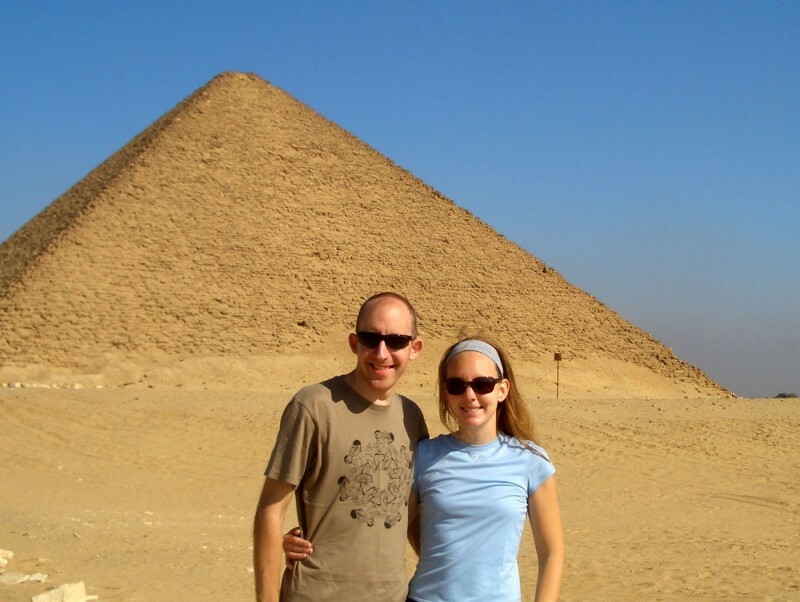 Roughly 30 minutes from Downtown Cairo and 15 minutes from the 3 Pyramids at Giza, the Red Pyramid is easily located by road and is surrounded by a green belt area and local villages. 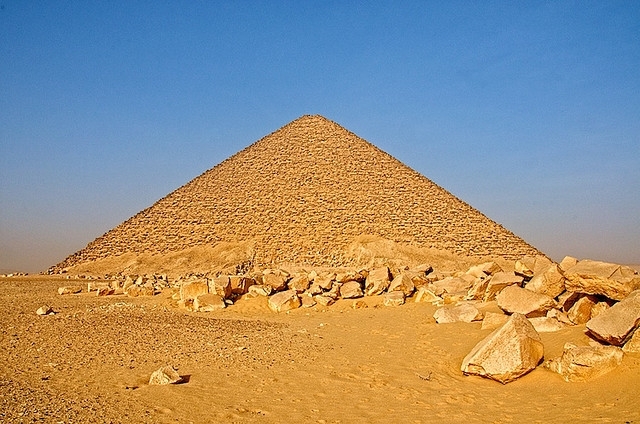 The Red Pyramid was considered to be one of the first Pyramids to attempt the idea of a smooth sided Pyramid and is the largest of the three major Pyramids at the Dahshur Necropolis. 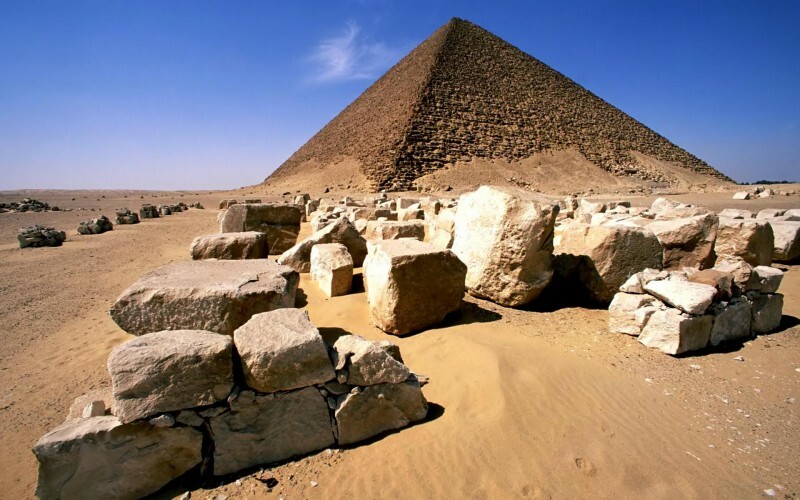 it is also the third largest Egyptian Pyramid, after Khufu and Khafra at Giza. 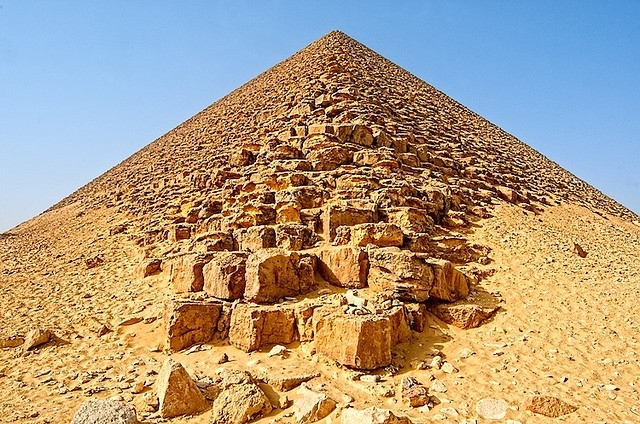 Despite its lower angle of 43.5 degrees and height of 101 m , Snofru’s Red Pyramid clearly prefigures the Cheops edifice, which are also the only pyramids that exceed their size. It was probably Snofru’s third attempt at Pyramid building, but he was not laid to rest in any of the burial chambers here as all were unused. The interior was open to the public and you can climb up and descend into it to check out its three musty chambers. Electric lighting has been installed but it sometimes fails, so bring a torch. The first two chambers are roughly parallel to each other, but the third is on a higher level and perpendicular to the other two.